Gorgeous glowing carved selenite massage wand mineral specimen available. Selenite is a crown chakra gemstone that is superb for meditation and spiritual work. 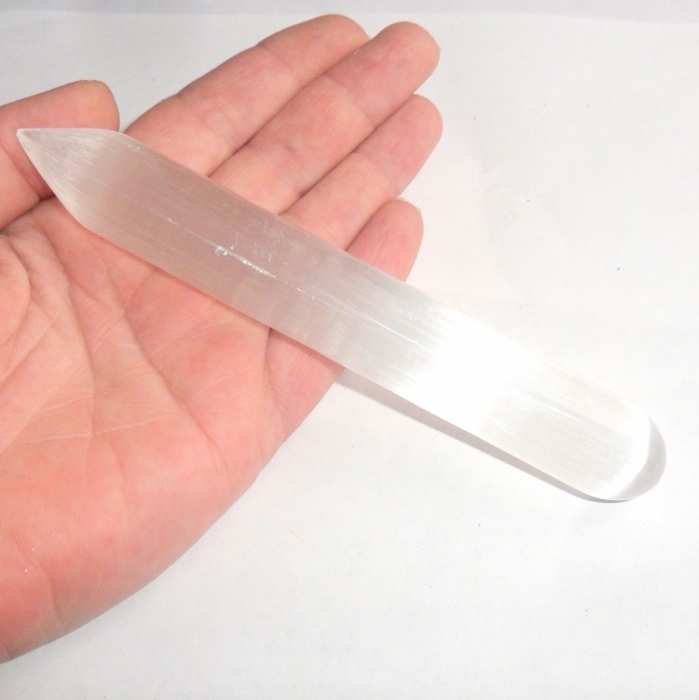 Selenite wands fit nicely in your hand and can be used on acupressure and reflexology points. 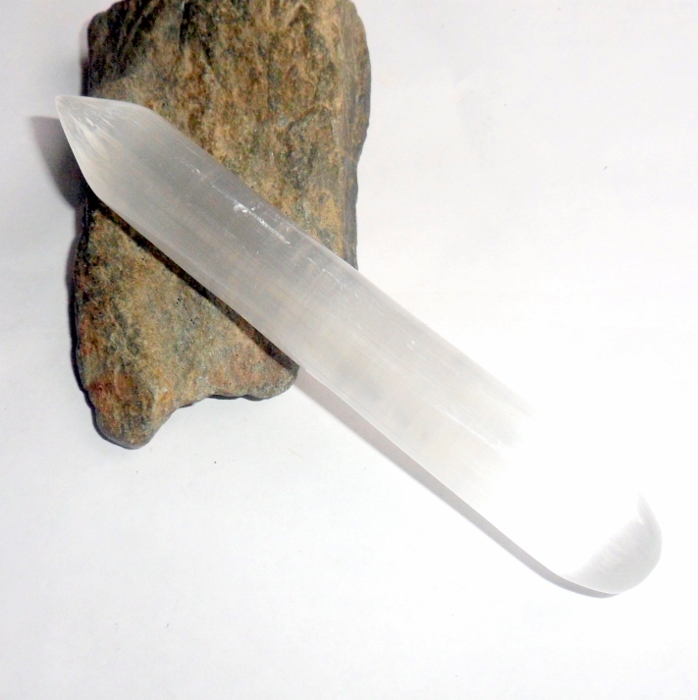 Selenite wands are also useful when channeling energies in chakra balancing and aura cleansing. Placed in the house it ensures a peaceful atmosphere. Physically, selenite is used to promote flexibility, neutralize mercury poisoning, and align the spinal column. Selentite clears negative energy and can be used to reprogram your crystals. It never needs recharging. Selenite expands your awareness, helps you enter a meditative state, and increases telepathic abilities. Selenite wands range from 5 1/2 to 6 inches long and are about 1/2 to 3/4 inch diameter. Price is for one selenite wand. Please do not immerse your selenite in water or it can eventually dissolve the mineral.